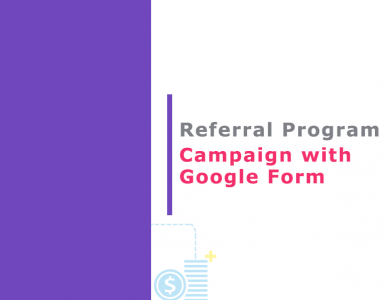 Launching Referral Program for Squarespace is very simple with invitereferrals.com. If you are not signed up with InviteReferrals already, you’ll need to do so. Sign up for free now !!. 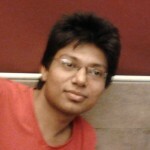 There are 2 code integrations that need to be done. 1. 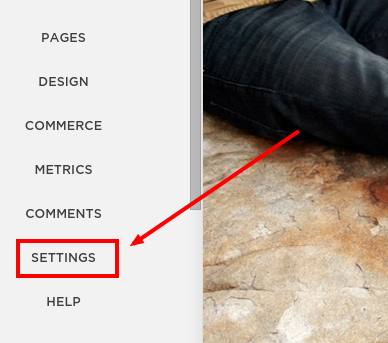 Login to Squarespace and go to “Settings -> Advanced”. 4. 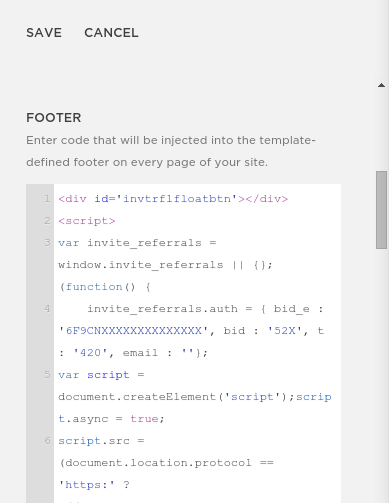 Paste InviteReferrals integration code in footer and save it. 1. 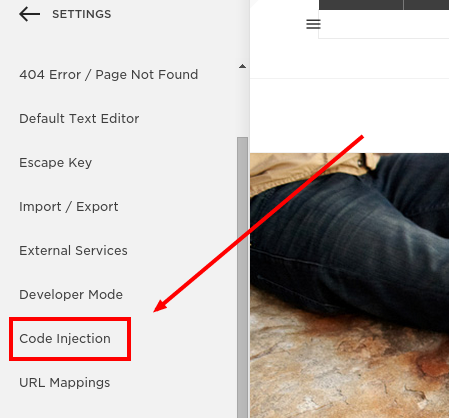 Go to “Settings -> Advanced -> Code Injection”. 2. Add the InviteReferrals tracking pixel under “Order Confirmation Page”. 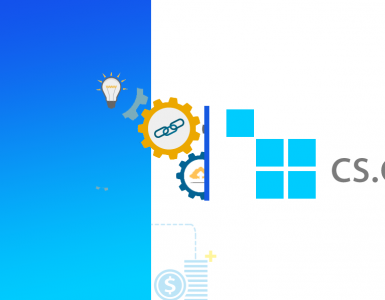 Get your InviteReferrals tracking pixel from the documentation section -> Referral Tracking Pixel. First login to the invitereferrals site and then copy the static tracking pixel so that the secret keys are already prefilled. Thats it! Your Referral Program for Squarespace is ready. You can customize anything from the admin panel. 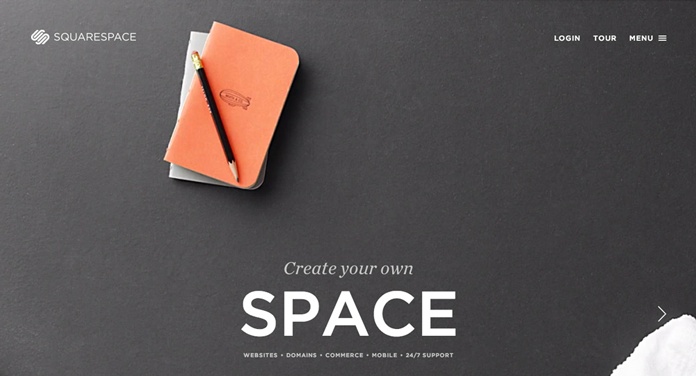 No code changes are needed on your Squarespace store.